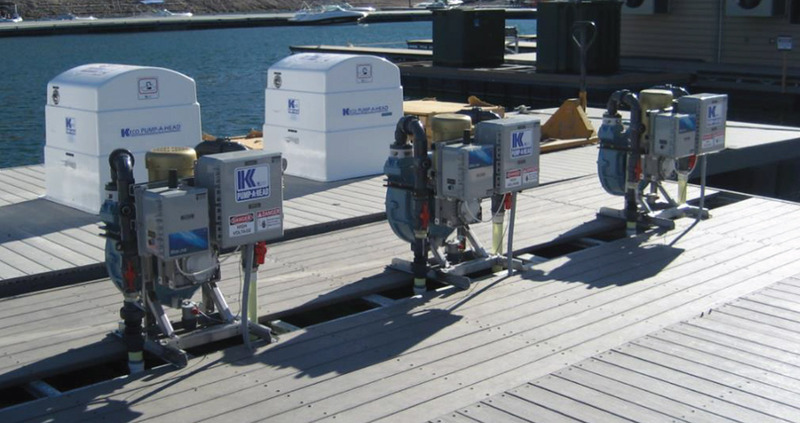 KECO has teamed with MarineSync Corporation to offer a Turn-key wireless solution for remotely monitoring PumpOut Equipment. The ‘MS1’ is a remote monitoring system designed specifically for use monitoring PumpOut equipment, lift stations, floating restroom, PumpOut boats and other related equipment and applications. The system consists of a hardwire component and a web-based software, accessed via the internet. The software provides equipment details such as real-time status, usage statistics, administrative services, report generation, and notification services. The MS1 utilizes an integrated cellular modem, providing 2-way communicating with MarineSync’s cloud-infrastructure. MS1 can be deployed practically anywhere, utilizing GSM or CDMA networks. Monitor equipment without a dedicated phone lines or LAN access! The MS1 transmits data to a web-based software application, which is only accessible by assigned subscribers with secure logins. The software allows subscribers to monitor and manage all monitored equipment. Subscribers can manage multiple Pumps, Floating Restrooms or other Equipment through a single webpage. Each MS1 location is identified on the map with a real-time status dot. A green dot signifies the device is operating normally and a red dot represents an alarm. To view data for a particular pump, mouse-over the dot and a dialog box will appear that shows details of the site and current status. Click on the “manage” link to open the dashboard. The user may also navigate to any asset, or to organization and system levels, by clicking on the desired link within the navigation bar which is visible at all times on the left of the display. MS1 can interfaces OEM leak detection sensors on monitored equipment. If an integrated leak detection sensor is not available, MarineSync offers stand-alone sensor to provide leak detection and alerts. Motor amperage can be monitored and recorded with every running cycle. Amperage is displayed and recorded in the database. High amperage thresholds can be set to prevent damage to equipment. MS1 can monitor tank levels and easily configures to alert at high and low level thresholds. Tank level sensors are available if not provided on OEM equipment. Maintaining accurate records of accumulated volume totals has never been easier. MS1 software automatically calculates and displays volume totals based on flow rate. Tracking accumulated runtimes and cycles offers the most accurate assessment of equipment usage. Usage data is available remotely, greatly reducing labor and travel expenses for collection. MS1 was specifically designed with a back-up battery to notify personnel in the event of a power loss. Alerts can be sent via Text Message, Email or Landline phone call.